E-mail your articles and book-length reports to msthirumalai2@gmail.com. Mysore 570006, India or e-mail to mallikarjun@ciil.stpmy.soft.net. Your articles and booklength reports should be written following the MLA, APA, LSA, or IJDL Stylesheet. Would you like to announce the dates and venues of your conferences, seminars, etc., and also publish the outline proceedings of these programs? Send a report to Language in India. Click here for the forthcoming INTERNATIONAL CONFERENCE ON TAMIL LINGUISTICS, 23 - 24, October 2009, conducted by the University of Malaya, Kuala Lumpur, Malaysia. Articles and books published in Language in India are indexed in three leading databases: EBSCOHost database, MLA International Bibliography and the Directory of Periodicals, and now in ProQuest (Linguistics and Language Behavior Abstracts). These are the most widely distributed and referred to databases in Humanities in the world. Every article has a Printer-friendly version link at the end of the HTML page. The next issue (the issue of November, 2009) will be uploaded by 15th November, 2009. Ponmalar N Alagappar, MBA, Ph.D. Candidate and Karamjeet Kaur, M.A. Arun Behara, Ph.D. and Rasmita Behera, M.A., M.Phil., B.Ed. Prashant Mishra, M.A., M.Phil., Ph.D.
Sandeep K. Thorat, M.A., M.Phil. R. Karthikeyan, Venkatraj, Ph.D. and G. Baskaran, Ph.D.
Deepa Gupta, B.A (Hons), M.Sc. (Maths), Ph.D.
INSTITUTES & DEPARTMENTS OF LINGUISTICS, INDIAN LANGUAGES, SPEECH AND HEARING, AND ENGLISH LITERATURE! SEND YOUR ANNOUNCEMENTS TO APPEAR IN THIS PLACE!! the University of Malaya, Kuala Lumpur, Malaysia. A Two-Day International Conference on Tamil Linguistics is organized on October 23-24 by the Department of Malaysian Languages and Applied Linguistics, Faculty of Languages and Linguistics, University of Malaya, Kuala Lumpur, Malaysia. Papers are invited on the theme of Reality and Challenges of Tamil Language in a Multilingual Environment. For complete details of the conference, please click here INTERNATIONAL CONFERENCE ON TAMIL LINGUISTICS, University of Malaysia, Kuala Lumpur, Malaysia.. Please read the guidelines for the submission of articles, monographs, dissertations, etc., for publication in LANGUAGE IN INDIA, given below. Language in India publishes articles in major Indian Languages also in the pdf format. Check out the guidelines given below. Kindly note that you can read the entire article in printer-friendly PDF version by clicking on the link given at the end of every article in the HTML version. Thanks, my dear friend! You are most welcome to send articles for publication in Language in India www.languageinindia.com. Our Board of Editors consists of distinguished linguists with many years of contributions to Indian Linguistics. We will evaluate every article before we accept any for publication. We are very happy that you did a good job in your last article. Must include your address including e-mail address on the first page of your article. This is for editorial convenience. (The format of presenting the authorship of the article/book, the institutional affiliation, etc. is different and this can be seen from the published works in Language in India.) You did not do so in the last article, and as a result your e-mail address does not appear in the PDF full text. After many hours of search, I located your original e-mail and included your e-mail address in the opening introduction to your article. By that time, your pdf text was already formatted. And I could not spare time to re-do it with your e-mail address. It is for the authors to take care of this important part if they want others to correspond with them on the subject. You must give the declaration as to the authenticity of the work that you submit. This declaration should state that your article or work submitted for publication in LANGUAGE IN INDIA www.languageinindia.com is an original work by you and that you have duly acknolwedged the work or works of others you either cited or used in writing your articles, etc. Remember that by maintaining academic integrity we not only do the right thing but also help the growth, development and recognition of Indian scholarship. This applies also to all who submit their articles for publication from other nations as well. You must not paginate your article submitted in the Word format. www.languageinindia.com will paginate it. If your article involves a lot of diacritic marks and complex presentation that is difficult to reproduce, you may like to submit your article in PDF format. While doing so, please do not paginate it. The title page will be somewhat like this in pdf. Title of the paper in bold, Times New Roman in 16 point, immediately followed by the name/s of the author/s, with each author's name followed by their educational qualification such as Ph.D., M.Phil., or M.A., etc., in 14 point, and then after one line space, a line in bold. After this, give one line space and begin your article. It is better to check how pdf files are formatted in Language in India www.languageinindia.com and proceed accordingly. While in doubt, please send an e-mail to msthirumalai2@gmail.com or mallikarjun@ciil.stpmy.soft.net. Please include your educational qualification such as M.Phil., immediately after your name in the first page of the article. Give complete details of your address, with postal number, if any. In India, it is called pin code. Please tell all your friends, colleagues, supervisors, and relatives that your article is published in Language in India www.languageinindia.com so that they will log in and see it for themselves. You do not become known easily unless your work is publicized first in your circles of friends and relatives! Encourage your co-workers also to write articles for Language in India www.languageinindia.com. If you can support this publication by donations, you are most welcome to do so, and we will receive the gifts with gratitude and appreciation. Remember, it does cost a lot of money and time, even to perform good works! I am doing it all these years with very little support! However, donations will not influence the decision to accept or not accept any submission for publication in www.languageinindia.com. Remember that Language in India www.languageinindia.com is interested in publishing articles that bring out the application of concepts and principles to Indian languages including English language teaching and writing in India and other South Asian nations. We also welcome papers on other languages from other nations as well, following the age-old Indian tradition of welcoming knowledge from everywhere and to serve all. If you've used any one particular concept, idea, or theory, etc., please write about your experience in using these concepts, ideas, or theories, etc., and bring out how you, your co-workers, and your students have either benefited or not. Also include how you modified and/or used these concepts in your classrooms, etc. If what I say is difficult to follow, please see some of the recent articles in Language in India www.languageinindia.com that apply concepts to Indian and South Asian contexts, etc. We are not interested in publishing a mere compendium of ideas from various sources. We are interested in publishing articles on all aspects of language structure and use. In order to partially meet the cost for formatting, uploading, permanently maintaining the article/s, dissertations, etc. in the Internet, and for doing repairs whenever necessary, Language in India www.languageinindia.com now charges a formatting fee. Kindly check with the editor msthirumalai2@gmail.com for details. Kindly note that the question of charging this formatting fee arises only when an article is accepted for publication. The decision to publish or not to publish materials submitted for publication depends soley on the merit of the material/s submitted, and is not influenced by formatting fee considerations. Kindly note that once an article or book is published, no new material can be added or old material deleted and/or substituted. So, please make sure that you submit your final version for publication. Based on editorial review, articles and books may be suitably edited with necessary changes. If you want to have these changes notified to you before the publication of your article, kindly let us know in advance. In these cases, we require that you pay the formatting fee in advance so that our effort in editing and formatting is protected through this fee. Or at least undertake the payment of the formatting fee in case such revisions are not accepted by you and/or the editor and you choose not to publish your article/book. Once again, please note that it takes a lot of effort, time and money to get materials ready for publication, and we request your co-operation and prompt response through this process. 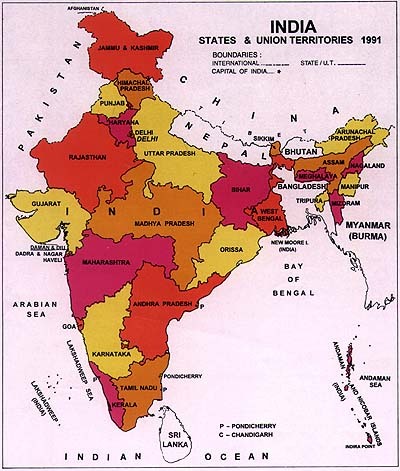 Language in India www.languageinindia.com publishes articles in major Indian languages. These articles in Indian languages will be published in the PDF format for easy accessibility. For guidelines, please contact the Managing Editor: M. S. Thirumalai, Ph.D. via e-mail mthirumalai@comcast.net. Language In India is a monthly online journal devoted to the study of the languages spoken in the Indian sub-continent. We wish to present the scholarly research findings on these languages in popular language. Our focus is on language use in mass media, education and administration, speech and hearing, sociolinguistic and political aspects relating to these languages and the society in the Indian subcontinent. We wish to present the linguistic descriptions, interdisciplinary research, and current issues of importance relating to Indian languages. Following the age-old tradition of Indian scholarship, the pages of this journal are open to scholarly articles on any language. We believe in co-operation and mutual help to foster amity between all peoples and their languages. This online journal publishes not only articles, but also book-length reports and studies. We want to be a blessing to Indian languages, praying for "strength for today and bright hope for tomorrow." We sincerely believe that every Indian language deserves our whole-hearted support for growth and that every one can find its place in a mosaic of unity and understanding, serving each other and singing the glory of God.